From 1952 until 1987, the Johnson County Memorial Hospital (JCMH) was owned by Johnson County, and Lutheran Homes and Hospital Society (LHHS) ran the administration. 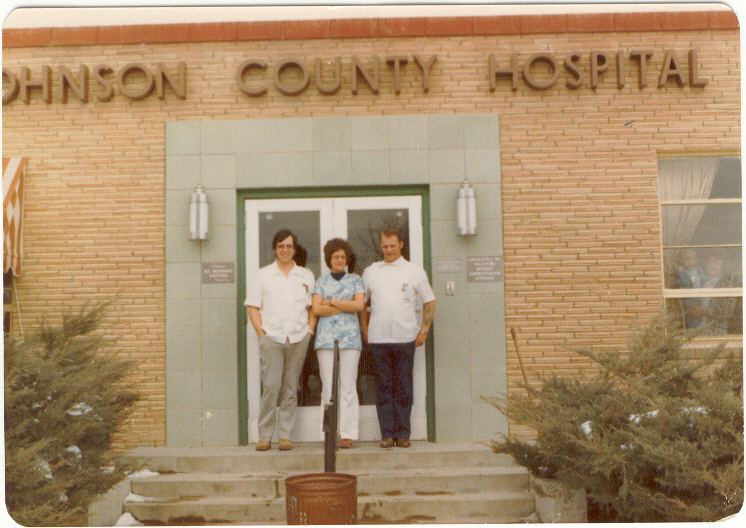 LHHS, located in Fargo, North Dakota, managed many small hospitals in the Midwest. This arrangement worked very well until July of 1987. At that time, Lutheran Homes and Hospital Society was losing money in Buffalo, and wanted to cease working with the hospital. At the same time, Medicare was not paying hospitals what it owed them, leaving small facilities to write off thousands in bad debt from the government. This problem along with rising malpractice insurance costs, and lower patient numbers brought many small hospitals to the edge of bankruptcy all over rural America. In the 1980's, Johnson County was in an economic recession, and also the doctors of Johnson County announced that with the rising cost of Obstetric malpractice insurance, they weren't sure they could afford to keep delivering babies in Johnson County. Things didn't look good for the future of health care in the county. Fortunately, for our citizens, our county leaders were forward thinking individuals, who when faced with the options, decided to try an interesting option to save our county's hospital. They could have closed the hospital, like many rural areas did. They also could have found another management company to run the facility. But what they did choose to do was to bring the hospital under county control. Under the new management plan, the existing hospital board would take an expanded role, and be more involved with the major decisions and operations of the hospital. At that time, Sandy Ward was a business manager at the Northern Wyoming Mental Health Centers. The hospital board offered him the job of being the hospital computer controller, and he was tasked with helping to make the change from the LHHS management system to a locally controlled system. Sandy was knowledgeable about computer systems, and had brought his computer expertise to JCMH. He taught computer classes at Sheridan College, understood the systems of the day, and had already brought this innovation to the Northern Wyoming Mental Health Centers. 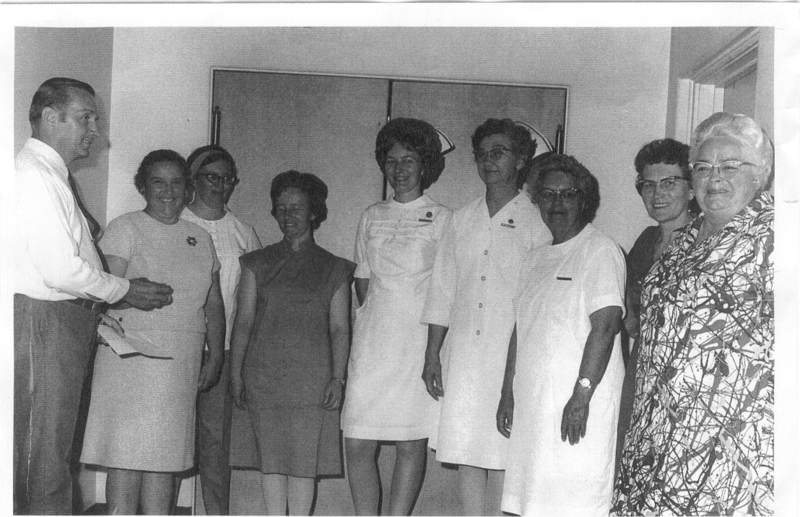 After he accepted the job at JCMH, he negotiated with Lutheran Homes for the use of LHHS accounting and billing systems, until JCMH could become independent in other areas. Sandy hired some people to help him create new computer systems for JCMH and these systems are a large part in how the hospital became financially viable again. In the 1980’s, this was pretty forward thinking! After two months of Sandy working as the computer controller at JCMH, the hospital board asked him to assume the management of the facility. He took on the job as the hospital administrator. Shortly after the change in management, the hospital began to make money, and has operated in a better financial position ever since. The doctors were also able to find an insurance plan that could cover them affordably for their malpractice insurance as a group, thus keeping the practice of obstetrics in Johnson County. From 1987 until 1992, the hospital was run by the county, under the management of Sandy Ward. In 1992, the community voted to change the management of the hospital from county owned to become a hospital district. The change in management hasn't affected the outward working of the facility, but the management system changed to become driven by the elected hospital district board of directors. Sandy Ward lead the organization until the spring of 2017. The board hired Nicole Hobbs to take on the job, and she has lead the organization since April 1, 2017. 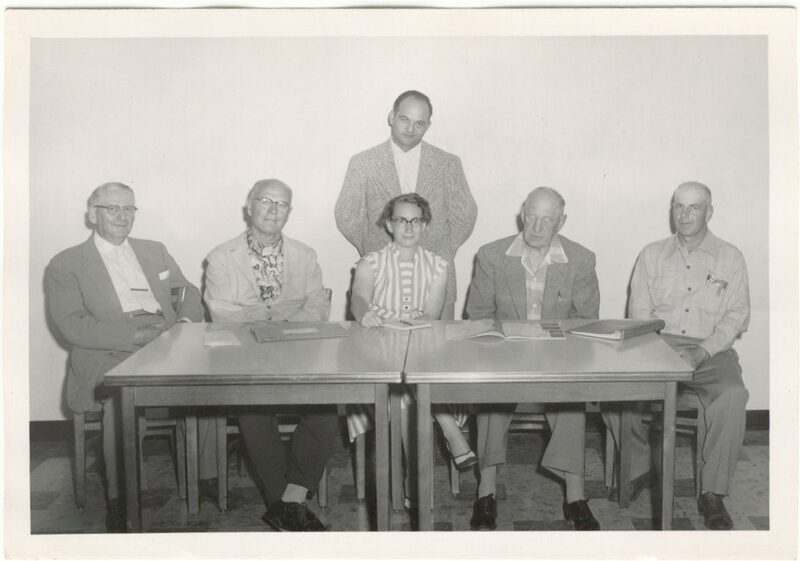 Board meetings are held once a month, usually on the last Wednesday evening of every month. The facility has expanded and thrives under the new management system. Many expansions and additions later, the hospital changed its name to Johnson County Healthcare Center, as now, the facility is much more than a hospital only. JCHC is a financially stable and growing healthcare center, serving the needs of Johnson County.